198 pages | 9 B/W Illus. Contemporary art biennials are sites of prestige, innovation and experimentation, where the category of art is meant to be in perpetual motion, rearranged and redefined, opening itself to the world and its contradictions. They are sites of a seemingly peaceful cohabitation between the elitist and the popular, where the likes of Jeff Koons encounter the likes of Guy Debord, where Angela Davis and Frantz Fanon share the same ground with neoliberal cultural policy makers and creative entrepreneurs. Building on the legacy of events that conjoin art, critical theory and counterculture, from Nova Convention to documenta X, the new biennial blends the modalities of protest with a neoliberal politics of creativity. 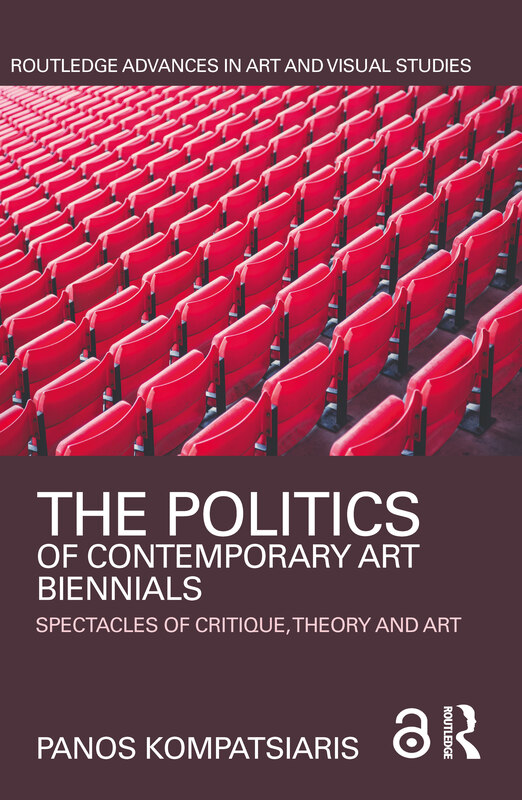 This book examines a strained period for these high art institutions, a period when their politics are brought into question and often boycotted in the context of austerity, crisis and the rise of Occupy cultures. Using the 3rd Athens Biennale and the 7th Berlin Biennale as its main case studies, it looks at how the in-built tensions between the domains of art and politics take shape when spectacular displays attempt to operate as immediate activist sites. Drawing on ethnographic research and contemporary cultural theory, this book argues that biennials both denunciate the aesthetic as bourgeois category and simultaneously replicate and diffuse an exclusive sociability across social landscapes. Panos Kompatsiaris is Assistant Professor of Art and Media at the Higher School of Economics in Moscow, Russia. He holds a PhD in art theory from the University of Edinburgh (2015) and has contributed to journals and edited volumes with texts on art and media theory, ethnography and cultural studies.